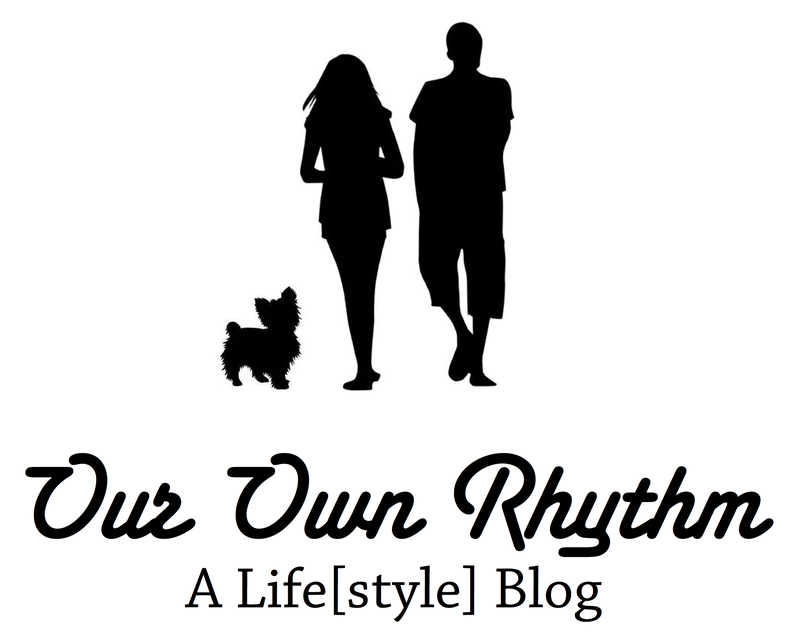 After returning from an exquisite vacation based in Bordighera, Italy, I wanted to list the highlights to bring attention to this little city. Next time you think about booking a trip to Italy, consider Bordighera in place of the larger, more touristy Italian destinations. 1. The scenery. A small city rich in culture, Bordighera is famous for inspiring Claude Monet himself. There are beautiful gardens, such as the Pallanca Exotic Garden, as well as a charming old town to explore. Since Bordighera is on the Italian riviera, the beach is a big draw for vacationers. Some areas are private, while others are open to the public. For your convenience, there are a multitude of areas to rinse off before you head back to your hotel or one of the numerous beachside cafes. The Lungomare Argentina is the street to follow in order to find the public beach areas as well as some pranzo or gelato. Not a beachgoer? Take a long passeggiata and enjoy the beautiful scenery. 2. The location. Bordighera flies under the radar a bit, but is actually in a tremendous location. In addition to the beach, the small city offers some fine dining, shopping, and easy transit for day trips. By staying there for a week, we were able to visit Nice, France; Monte Carlo, Monaco; Genoa, Italy; Dolceacqua, Italy and more. We utilized a combination of trains and taxis, and found it easy to get where we wanted to go. It is also an excellent, but often overlooked option for those attending the Monaco Grand Prix. 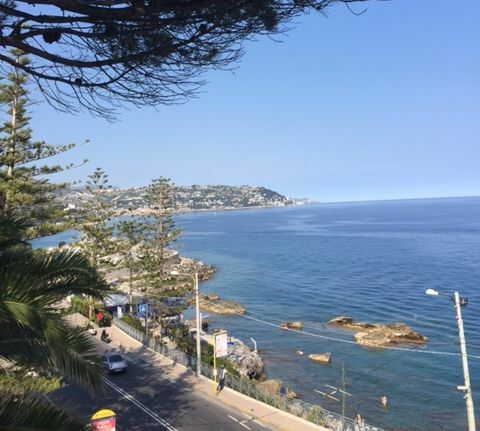 Hotels within Monaco and along the French Riviera often have exorbitant prices for race weekend; however, we found Bordighera to be both reasonably priced and a quiet respite from the hustle and bustle of Monaco. L’Aranceto at the Villa Elisa. L’Aranceto offers delicious, homemade Ligurian food within a cozy, family-run restaurant setting. Located in the Villa Elisa hotel, L’Aranceto’s servers take care to ensure you are comfortable and happy. We enjoyed many meals here during our stay in Bordighera, including risotto, various pastas, and the freshest seafood. Gluten free options were available, which was a lifesaver for a Celiac like me. 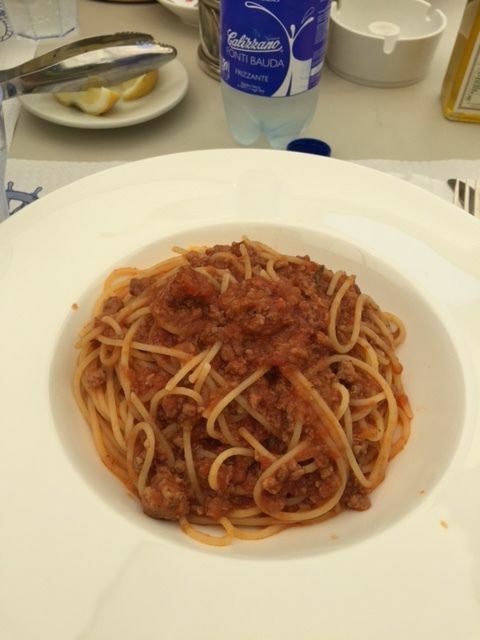 To the right is gluten free spaghetti bolognese—the best I’ve ever enjoyed in my life. Since we were staying at the hotel, we happily dined at the same table for each meal, as it was reserved especially for us the whole time. I already miss it. TIP: Be sure to order a bottle of wine from nearby Dolceacqua! Sunrise at the Grand Hotel del Mare. 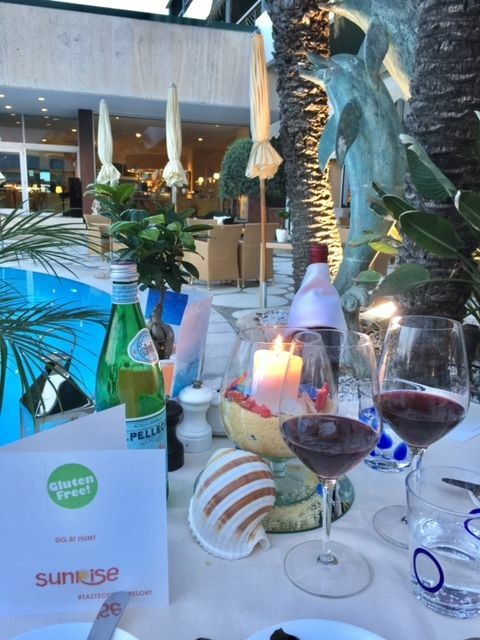 The Grand Hotel del Mare’s restaurant prides itself on fresh ingredients, as well as catering to guests with special diets, such as vegans, vegetarians, or Celiacs. They impressively implement traditional Italian recipes with necessary accommodations. I was offered a tailored, gluten free tasting menu, which was one of the highlights of our trip; it has been so long since I have been able to have gluten free tiramisù. We enjoyed four delicious courses poolside, taken care of by professional staff and entertained by the hotel’s cute resident cats. There is an extensive wine menu and an exquisite view of the coast in the dining room. TIP: Inquire at the restaurant ahead of time if you have food allergies or dietary restrictions. Universo del Gelato on Corso Italia. 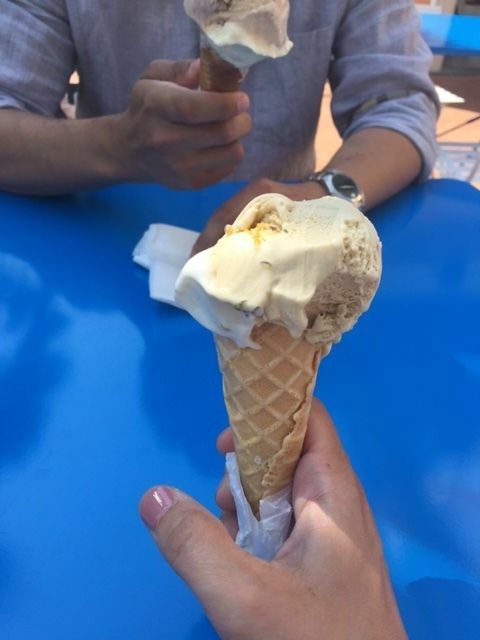 Ahead of time, I researched which gelato shops in Bordighera offered gluten free gelato. Upon arrival at Universo del Gelato, I was greeted with friendly staff who even offered me a gluten free cone for my gelato. I was blown away! The gelato was phenomenal, with a perfect texture and temperature. The owner and staff were always friendly and careful to ensure my gelato would be safely gluten free. We learned, upon reading their posted article, that their gelato had been chosen for the Eataly location in Genoa. I am not surprised! 4. The lodging. Throughout our travels, my husband and I have stayed at all types of hotels, ranging from 5-star giants to smaller, family-run establishments. 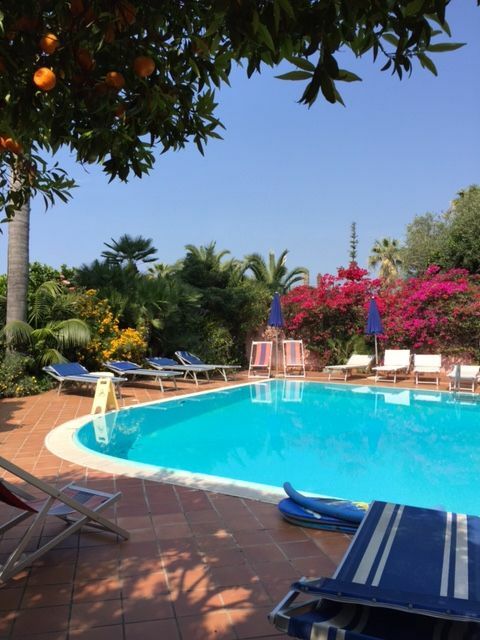 We were so very impressed with the Villa Elisa in Bordighera. From the front desk attendants to the dining crew to our airport transfer driver, we truly enjoyed every minute of our vacation, and the Villa Elisa is to thank. We were assisted with just about everything we needed, and cannot wait to go back. Below is the beautiful pool area, complete with various colorful flowers and fruit trees. Check out TripAdvisor’s top ten list in Bordighera to see prices and availability. travel. decor. life. home. renovation. restaurants. family. ideas. products. hopes.